The Maronite patriarch warns of the possibility that uprisings might lead to fundamentalist regimes and divide the Arab world into confessional states. He is also concerned that the destabilisation of Syria might have consequences for Lebanon, Iraq and Jordan. 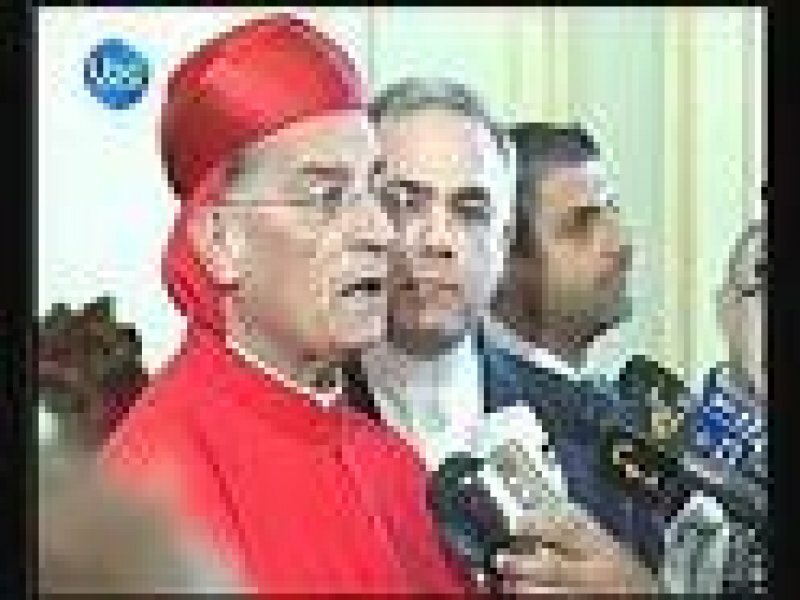 Beirut (AsiaNews) – Speaking to the 84th General Assembly of the Reunion of Aid Agencies for the Oriental Churches (ROACO), the new Maronite Patriarch, Mgr Bechara Boutros al-Rahi, said that the uprisings currently sweeping the Arab world could lead to fundamentalist regimes. He also added that plans for a ‘New Middle East’ by the United States might divide the Arab world into “confessional states”. His statements were widely covered in Lebanese newspapers. In his address, the Maronite patriarch spoke about the proceedings of the Special Assembly of the Synod of Bishops dedicated to the Churches of the Middle East, held in Rome in October 2010. He noted that the role of the Catholic Church, in the present context full of uncertainties, is to help Christians remain in their respective Arab country so that they can contribute to the cultural and economic development and growth of their respective society. Implicitly, the Maronite patriarch expressed concern for the fate of Syria’s Christians who, like their Iraqi brothers, might be driven into exile if their country is destabilised. Such destabilisation would have incalculable consequences for the entire region, said Farid al-Khazem, a member of Lebanon’s parliament, certainly for Lebanon, but also for Iraq and Jordan. In his view, Turkey is one of the actors of change in Syria in pursuit of its own agenda, but also in line with a mission received from the international community. Turkey has indeed become a place of refuge for Syria’s opposition. These remarks echo those made by Greek-Catholic Patriarch Gregory III at the start of the annual synod of his Church, which opened on Tuesday and closes tomorrow, in Ain-Traz, the patriarch’s summer residence. The patriarch urged the United States and the international community to focus on the main problem of the Middle East, namely the Israeli-Palestinian conflict, rather than issue anti-Syrian “motions”. He also called on the Greek-Catholic Church of Syria to observe a day of fasting and praying yesterday. The focus of ROACO’s meeting, which began on Tuesday and ended today, was the Middle East, in particular the Holy Land. Coptic-Catholic Patriarch Antonios Naguib offered participants, in light of his personal experience, elements to interpret the current situation of Christians in the Middle East in order to direct the efforts of the agencies that support the mission as well as the ecumenical and interfaith commitment of Eastern Churches towards peace. ROACO was founded in 1968 by the Congregation for the Oriental Churches. It brings together all the agencies that provide financial aid to Eastern Catholic communities of all sizes to enable them to perform their services like religious worship, priesthood and pastoral training, education and schools, as well as social support and health care. More than 20 Catholic agencies from 10 Western countries were represented in this year’s meeting. ROACO is chaired by Card Leonardo Sandri, prefect of the Congregation for the Oriental Churches. Pope: Eastern Christians, victims of the "spread of international terrorism"